Do you have a problem with your bite? Do your upper and lower teeth arches fit together neatly, or are they out of alignment? Do you have crooked, crowded or gapped teeth? Here at the Old Windsor Dental Practice, we offer braces in Windsor to patients with these sorts of conditions. We have a range of options available, but in this article, we are going to look at using fixed metal braces in Windsor to correct the bite. These traditional-style braces don’t have a great reputation because of the way they look when in place on the teeth. Especially as you can now get discreet and clear braces in Windsor. However, for certain conditions they are still the best way to go. And the good news is that because of advances in dental technology, these fixed braces are smaller and more comfortable than those of old. How do fixed metal braces in Windsorwork? They use a series of brackets and wires to pull the teeth into position over time. One bracket is bonded to each tooth, so as it moves, so does the tooth. A wire is threaded through the brackets and pulls them along until the teeth reach the desired position. First of all, we will assess you to see which type of brace is suitable for you. To do this, our braces in Windsor dentist, Dr Emmett Hegarty, will take impressions, x-rays and photographs of your mouth, teeth and jaws. The brackets are then bonded to each tooth and the wire strung through them. Emmett will advise you on how to take good care of your brace and how to maintain good oral hygiene throughout the treatment. You will also come in for regular checks and adjustments as treatment progresses. After the braces work is complete, you’ll need to wear a retainer to hold the teeth in their new positions. It can take up to 2 years for treatment with braces in Windsor to complete, but the effects last a lifetime. Straighter teeth not only look great but are also easier to clean and keep free of decay-causing bacteria. 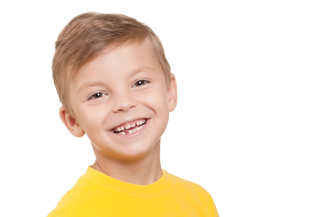 What age should a child get braces in Windsor? One question many parents around the world ask is, ‘When should my child get braces?’. While there is no definitive answer to this question, and 2 different dentists may give 2 different answers, it is generally a good idea for your child to visit a dentist specialising in braces around age 7. At this age, most children have their adult teeth forming inside the gums, giving dentists a better overview of what is going to happen in the mouth during the following years. At The Old Windsor Dental Practice, we advise parents to bring their children for a teeth straightening consultation as soon as possible, since early intervention can prevent problems down the road. 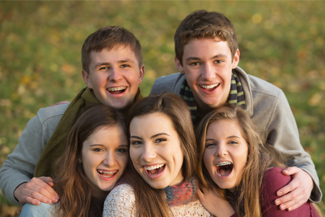 Our practice offers a wide range of braces in Windsor, including Twin Block, a novel teeth straightening treatment that repositions the jaw. If you suspect that your child has crooked or misaligned teeth, you should book an evaluation with your dentist. Dentists specialising in teeth and jaw straightening problems can diagnose and correct various tooth issues and are also able to assess whether your child needs braces. Our experienced team of dentists at The Old Windsor Dental Practice will offer the best solution possible. What are the benefits of an early examination? Examining your child for braces in Windsor early on has numerous benefits. Firstly, your dentist can determine what the best treatment is, since oral problems are identified earlier. Moreover, the younger your child wears braces in Windsor the better, since young children’s teeth are guided easily for braces. As a matter of fact, children who start teeth straightening treatment at a young age are more likely to spend less time in braces overall. Braces will also improve your child’s oral hygiene and enhance their self-esteem. Not to mention that they will introduce them to a lifetime of great oral habits. Many children are nervous about wearing braces. However, modern braces are more comfortable than they used to be and they are less bulky, meaning they are not unattractive. Plus, they can be customised with colourful bands for an individualised touch. Smiling and laughing are things that should feel great. A smile gives a sense of someone’s personality, and shows someone is most at ease. No one should feel anything but happy when they smile, but having misaligned teeth can make you feel self-conscious. So why not do something about it, and go for braces in Windsor. Here at The Old Windsor Dental Practice, we understand that there is nothing quite like the feeling of smiling with confidence when your teeth are looking their finest. That’s why we provide braces to boost your confidence, as well as improve your overall health. Who is suitable for braces in Windsor? 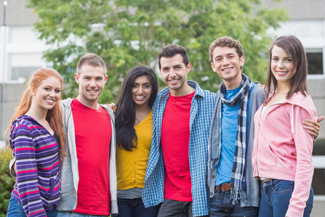 Everyone is different, and so are their reasons for getting braces. Having braces can mean different things to different people. Maybe you have missed the boat on getting braces as a child, and now want to do something about your smile. 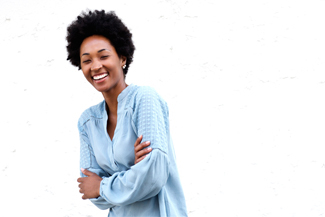 Whatever your dental needs, we will speak to you and go through your options in detail so we can find a solution that fits your lifestyle and teeth. Advanced technology means that you can have braces without having to feel self-conscious about your teeth. There is a multitude of options, such as clear, tooth coloured, nearly invisible, and removable appliances. If you have a busy life and don’t want the hassle of worrying about the look of braces during social and business events, people may not even realise your going through treatment. As well as being cosmetic, straight teeth are easier to clean, which reduces risk of gum disease, improves people’s overall dental health and overall sense of well-being and day to day confidence. 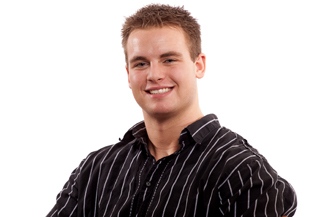 What involved with braces in Windsor? Firstly, we will take photos and x-rays of the teeth to determine the following treatment plans. On the day of treatment, the brackets are bonded to the individual teeth and joined by wires that gently nudge them into the correct position. After treatment, the patient will have to wear retainers to stop the teeth from slipping back out of place. We also offer Invisalign and fixed appliances. If you are thinking about going for braces in Windsor, book a consultation and we can see which option is most suited to you.